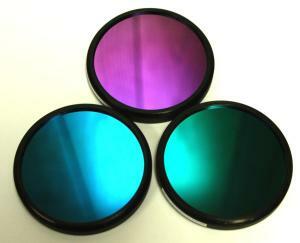 X-Nite Filters are precision made, quality filters. Listed are various specifications. Below is the typical response curve for CCD and CMOS image sensors. 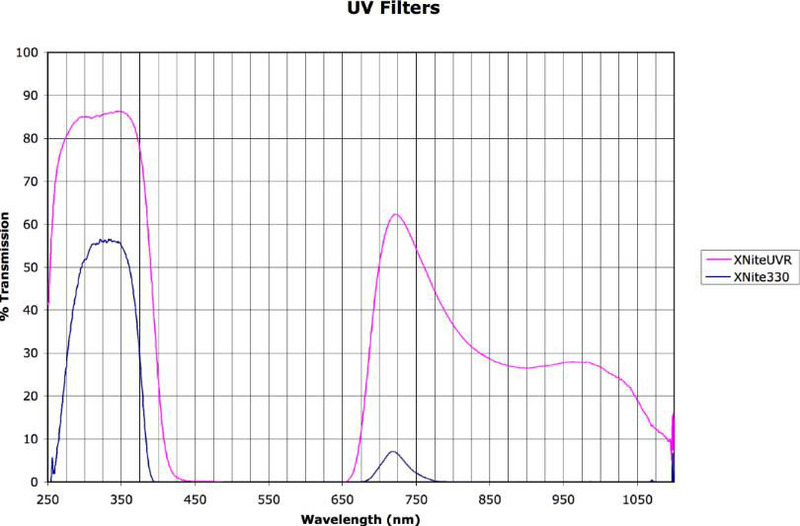 The top dark blue channel shows the quantum efficiency of an unfiltered image sensor. The Red, Green and Blue traces show the transmission response after the light passes through the mosaic color filter over the image sensors. Heliopan filters use Schott glass indicated by the RG number. For example, RG830 = 830nm and RG1000=1000nm.